Whether you’re looking for an new air conditioning or heating system, a replacement system for a malfunctioning or damaged unit, or simply looking to upgrade, True Blue is only a phone call away @ (918) 288-0481! 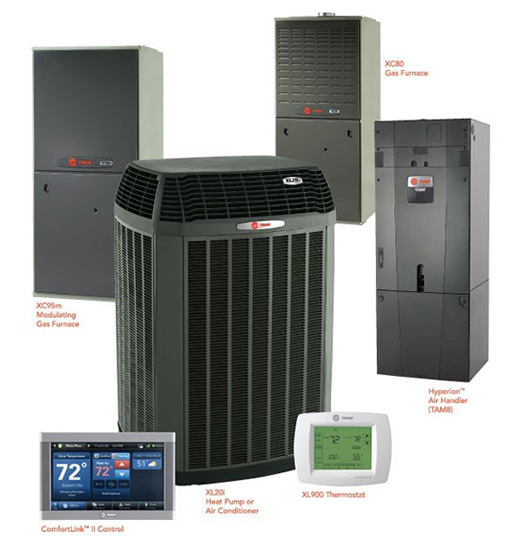 We specialize in air conditioning and heating repairs and installations in the Tulsa area. True Blue Heating & Cooling has a planned HVAC service that we can taylor fit to handle your individual needs and concerns. Please call and speak with one of our highly trained customer service representatives about getting started on your maintenance plan. Indoor air quality can be two to five times more polluted than outdoor air, and the EPA estimates that people spend 90% of their time indoors. Accuclean Whole Home Air Cleaners remove up to 99.98% of allergens from the filtered air. Contact us today to schedule a service appointment. True Blue has a planned service that we can tailor fit to handle your individual needs and concerns. Please contact us and you will speak with one of our highly trained customer service representatives. If your heat goes out in the middle of the winter or your air conditioning won’t turn on and there’s a heatwave on the way, life can become very unbearable very quickly. Especially when the problem seems more complicated than what a DIY repair can accomplish, and you fear you might need replacement parts or an entire unit. Our team at True Blue Heating & Cooling completely understands, and we too want your home or business to be comfortable and back in working order as soon as possible. We treat our customers like we would our own family; that means going above and beyond when even possible to help restore your HVAC system to perfect condition. True Blue Heating & Cooling is proud to offer emergency heating and air conditioning ( tulsa ac repair ) repair 24 hours a day in the Tulsa area. You’ll still be met with the friendly technicians you’ve come to expect, the service you deserve, and the rates other companies can’t beat. Providing emergency services is just another way that True Blue heating & Cooling strives to give you complete customer satisfaction. We know that you need more than a company that is willing to help – you need a company that actively searches for different ways to make your experience with them truly satisfying. As always, True Blue Heating & Cooling will only send licensed and skilled heating and air technicians to your home or business. All of our employees have been screened and tested, and have undergone all training necessary to handle any emergency repair you might need. A heating and air problem can occur at any time, but True Blue Heating & Cooling technicians will always be on standby to help!